One would think that the Cold War ended a long time ago, but ask the Pentagon officials who are very concerned about the two Russian nuclear-powered Akula-class attack submarines now patrolling the US East Coast. One ping only, Vasily. 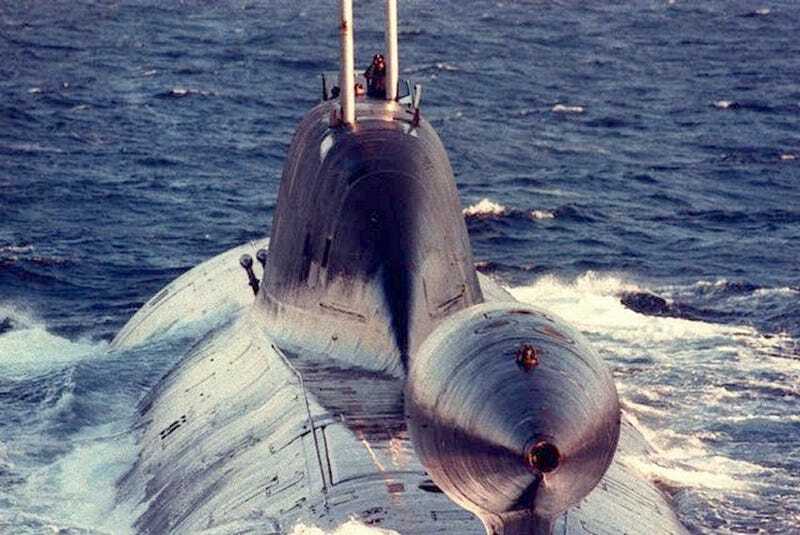 Akulas—the NATO designation for the Project 971 Shchuka-B Soviet Submarine—are some of the deadliest sea weapons in existence. Not deadly to people on land, as the Russian Typhoons are—the largest submarines ever built, equipped with 20 RSM-52 nuclear ballistic missiles—but to other submarines and ships. Equipped with four 533mm internal torpedo tubes plus six external 533mm, and an extra four 650mm tubes, the Akulas were designed to hunt other vessels, subaquatic or on the surface. And they, according to US intelligence reports, they can do that mighty well. They are the counterpart to the US Los Angeles-class SSN 751 nuclear subs. These things can launch up to forty torpedoes, mines, and missiles—the later using a separate tube for surface launch. It's equipped with a sophisticated sound reduction system, which was perfected in the 80s with the help of Toshiba, who sold them precision milling systems for that task. At least, according to the US Navy.